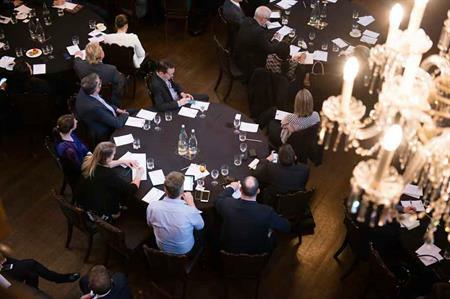 A panel of event industry experts predict budgets and growth will be relatively flat in 2015, while security from terrorism has risen to become one of the top challenges. At MPI Insights – The Economic Outlook, the panel discussed the outlook for 2015 and the general consensus was that this year is less optimistic than 2014. "Generally speaking, expenditure is flat and clients are under huge pressure to justify any expenditure," said Mark Riches, managing director at First Protocol. "We’re planning for the worst and will see what happens." Richard Waddington, chairman of corporate association EMA said: "The market is fairly flat, though there is an increase in smaller high-end meetings. There is lots of uncertainty in big organisations and lead times are short." These views are in line with a PwC survey unveiled at the World Economic Forum in Davos this week, which reveals chief executives are less optimistic about the economy this year than last - just 37% think the economy will improve in 2015, down from 44% last year. Meanwhile, the panel agreed that terrorism attacks such as the recent attacks in Paris have put security in the spotlight and that corporate clients are demanding greater attention to it. "If global terrorism gets worse, it will have a massive impact on our industry and we as an industry need to be aware of it and have the processes in place to deal with it," said Waddington. In addition, attracting and retaining talent is expected to be a major challenge in 2015, as people get more confident and look to move jobs, it will cost organisations and event agencies more to attract and retain the right people. Analysis: Has terrorism affected security at events?